Award Year: 2007 The validity of race-based medicine remains highly controversial. Some scientists, policymakers, and activists criticize it as flawed given scientific evidence that there is far more genetic variation within racial groupings than between them. Others welcome it for its potential to address health disparities, past discrimination in the provision of medical care, and lack of minority representation in biomedical research. What is the proper role of race in medicine, biomedical and disparities research, and health policy? And how are views about race in medicine related to broader debates in America about racial equality? Dorothy E. Roberts, J.D. explores the development of race-based medicine and its relationship to concepts of social justice. Her project, Race Consciousness in Biomedicine, Law, and Social Policy, uses legal doctrine and theories of racial equality to examine scientific and political debates about race consciousness and colorblindness and to evaluate the ethics of using race in biomedical research and policy development. The results of her study should provide practical guidance to researchers and policymakers concerned with the proper role of race in science and health policy. 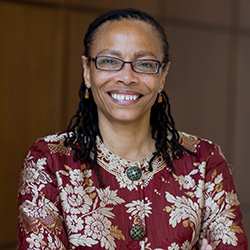 Dorothy Roberts joined the University of Pennsylvania as its 14th Penn Integrates Knowledge Professor with a joint appointment in the department of sociology and the law school where she also holds the inaugural Raymond Pace and Sadie Tanner Mosell Alexander chair. Previously, she was the Kirkland & Ellis Professor at Northwestern University School of Law, with joint appointments in the departments of African American studies and sociology and as a faculty fellow of the Institute for Policy Research. A longstanding advocate for social justice, Professor Roberts has written and lectured extensively on the interplay of gender, race, and class in legal issues concerning reproduction, bioethics, health, and child welfare. She is the author of the award-winning books, Killing the Black Body: Race, Reproduction, and the Meaning of Liberty (Pantheon, 1997), and Shattered Bonds: The Color of Child Welfare (Basic Books/Civitas, 2002). Her newest publication, Fatal Invention, was published in 2011 by the New Press. Professor Roberts has been a visiting professor at the University of Pennsylvania, Stanford, and Fordham, a fellow at Harvard University's Program in Ethics and the Professions and Stanford's Center for Comparative Studies in Race and Ethnicity, and a Fulbright scholar at the Centre for Gender and Development Studies in Trinidad & Tobago, where she helped to spearhead a project on gender, sexuality, and HIV/AIDS. She recently conducted a study of the community-level effects of concentrated child welfare agency involvement in African American neighborhoods. Her current project examining race consciousness in biomedicine, law, and social policy is a continuation of research supported by the National Science Foundation. She serves as a member of the board of directors of the Black Women's Health Imperative, the National Coalition for Child Protection Reform, and Generations Ahead and of the executive board of Cells to Society: The Center on Social Disparities and Health. She received her B.A. from Yale College and her J.D. from Harvard Law School. Roberts, D. Race and the New Biocitizen, In What's the Use of Race? Modern Governance and the Biology of Difference, eds. Jones, D.S., Whitmarsh, I. Cambridge: The MIT Press, 2010. Roberts, D. Race, Gender, and Genetic Technologies: A New Reproductive Dystopia? Signs: J of Women and Culture in Society, Summer 2009, 34(4): 783-804. Roberts, D. Fatal Invention How Science, Politics, and Big Business Re-create Race in the Twenty-first Century. New York: The New Press, 2011.